For the fifth year in a row Adyen and TNW teamed up to find the fastest growing companies in Europe’s six hottest startup ecosystems: the United Kingdom, The Netherlands, Germany, France, Spain, and Sweden. 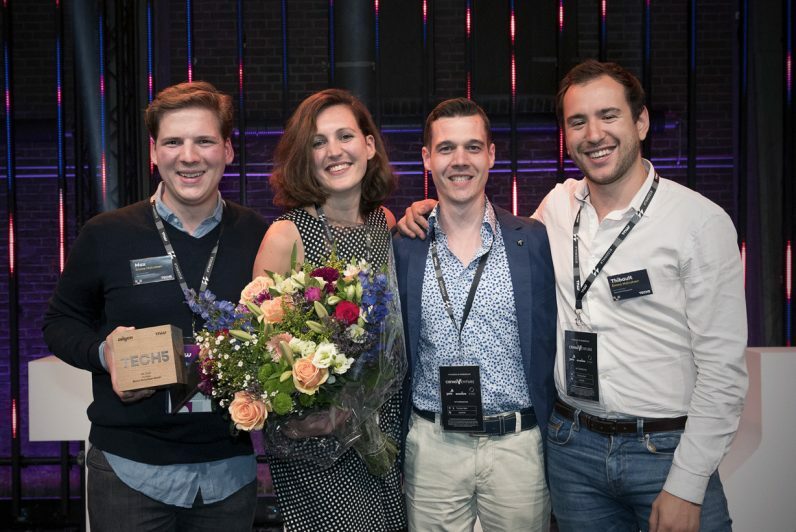 The winner, mattress business Emma (Germany), was announced tonight at TNW Conference Founders Dinner in Amsterdam, The Netherlands. To search for the fastest-growing startup, TNW reached out to hundreds of companies identified as fast-growing based on their research and asked them to sign up for the Tech5 competition from January to March. Since TNW needed to verify that the growth rates were legit, all the companies who signed up were asked to confirm their growth rates by signing an affidavit. Today, the Tech5 Founders Dinner, which also doubles as the grand finale of Tech 5, took place at TNW Conference. Patrick de Laive, co-founder of TNW, Roelant Prins, CCO of Adyen, and Ank van Wylick (Partner Advisory, FinTech lead at KPMG) announced the European Tech30 and the winner. Emma Matratzen GmbH from Germany emerged victorious this year with 14,315 percent growth in revenue. Emma offers a mattress from €290, money back guarantee, a 100-night trial, a 10-year warranty on top of free returns and delivery. In second place is Luno (United Kingdom) with a 12,369 percent growth in revenue and third place is Wefox (Germany) with a 12,050 percent growth in revenue. Looking at the European Tech30 list, Germany secured four spots in the Top 10. This is probably because eight out of 10 German startup founders are eyeing global expansion. German companies also have great funding with every 50th startup raising more than 50 million euros. The dinner had over 100 attendees including the Tech5 2018 cohort, Tech5 alumni, investors, media, and partners. Whilst Ayden and TNW are the official Tech5 competition partners, KPMG also pitches in to sponsor the Tech5 Founders Dinner. Over the past 5 years, the average growth rates for the finalist in each country are as follows: UK 1616.15%, Netherlands 1323.08%, Sweden 1000.22%, Spain 1181.85%, France 1803.02%, and Germany 3130.62%. Last year’s winner, Misterfly, managed to grow by 48000%. Altogether, the Tech5 2017 Top 10 cohort have raised over 10 billion in funding while eight have reached unicorn status. These include Home24, Deliveroo, Transferwise, among others.